Best Graphics has over 400 customer references by equipment type, and area of the country. Below are a few examples of what our customers are saying.Looking for a specific machine testimonial? No problem! Give one of our Sales Representatives a call today: (800) 236-7603. Dan, Mark B., Ryan, Mark C., Gary, or A.J. would be happy to work with you! “We’ve had no service issues”. “I think Osako is just as good and as productive as the No. 1 brand and for a lot less money” “My guys are trained on the Osako and they love it”. “We were looking for something that was web-friendly, something that will handle tabloids efficiently, and can run with or without lap”. “Our previous stitcher was a bottleneck in terms of handling forms off the web” “The Osako runs front, reverse or with no lip with no problems”. 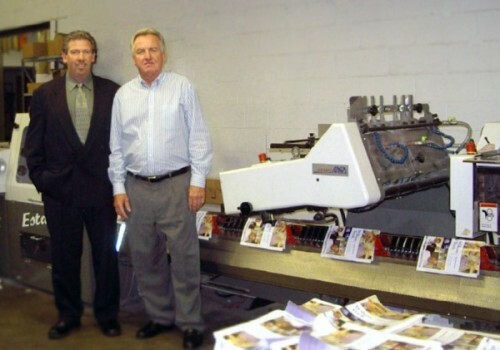 “Before buying the Osako, we took some hard-to-run work to a installation in New Hampshire. Running some of the toughest jobs we had, faster and without a hitch that was what sold us”. “The machine is very operator-friendly and we train people with no trouble at all. Setups are a lot quicker with the automated touch screen. The automation sure is nice…it make everything easier to use and quicker. My operators love the Osako”. “The machine runs faster and just doesn’t jam. We are able to feed signatures at a higher production speed for virtually every type of signature we run”. “We didn’t run a second shift before…but because the machine is so operator friendly and easy to run, we have no second shift issues” “You really went to bat for us on installation and support”. 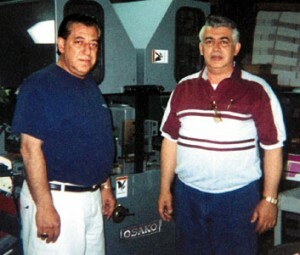 Martin Printing Co, S.C.
“The setup time and ease of use of the machine in great. The tilt pockets have really proven to be an advantage in running envelopes, circulars, odd size pieces and many other items. The machine is much easier to set up and get where we need to be. You don’t need a guy looking for special tools and wrenches and crawling around the machine to get it set up”. “The ability to make adjustments on the fly is a big plus. When we’re dropping in return envelopes or ad inserts, that’s really a nice feature”. “When you go from lighter to heavier stocks, having the individual air pumps is great. It has allowed us to feed a wide variety of signatures and stocks with a simple adjustment and run with practically no misfeeds”. “The service has been phenomenal”. “You’d be the first person we’d like to talk to if we added another machine because of the knowledge, confidence, integrity and honesty you’ve shown”.